Big changes may be coming to Florida’s medical marijuana market in 2019. The Governor of Florida made two announcements last week that were welcome news to those interested or involved in the state’s medical marijuana market, as they set the stage for its rapid expansion. The statements addressed two significant barriers to the state’s MMJ growth - the ban of smokable flower and a highly restrictive vertical integration requirement – the removal of which would bode well for Florida’s medical marijuana patients, entrepreneurs and investors eyeing the state’s highly profitable, but highly exclusive, MMJ market. Additional good news came last week from Florida’s Agricultural Commissioner, who hinted that she may finally clarify and enact the state’s regulations on edible cannabis products. 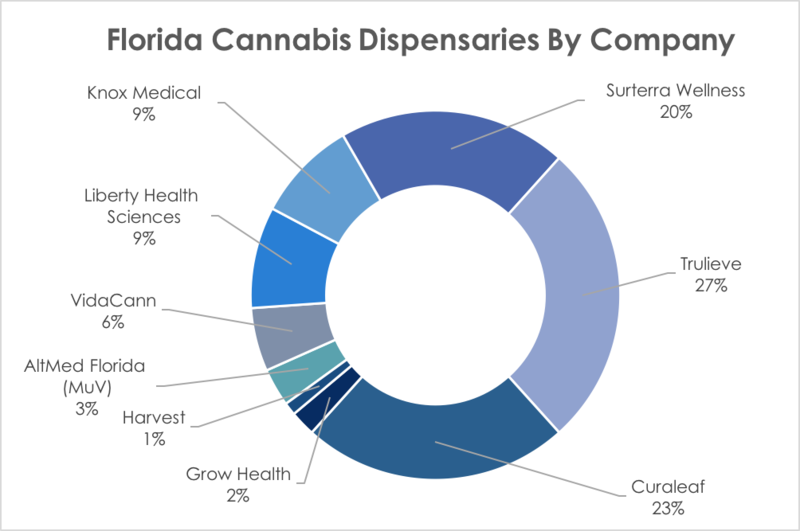 Last year was already a year of impressive growth for Florida’s medicinal market, and 2019 may witness much greater growth if the changes prescribed by Governor Ron DeSantis and Ag Commissioner Nikki Fried are finalized. In 2016, Florida legalized medical marijuana by ballot measure, with 71% of the popular vote. State legislators, however, expressed concerns that dry flower was unnecessary for patients and would pave the way for a recreational-use market. Thus, despite medical cannabis’ support among a supermajority of the state’s voters, flower was disallowed from the medical marijuana market by lawmakers. Last year, attorney John Morgan sued the State for this decision, asserting “the Legislature substitute[d] its medical judgment for that of ‘a licensed Florida physician’ and is in direct conflict with the specifically articulated Constitutional process.”  This conclusion was upheld by the Court, which determined that Floridians have a right to smoke medicinal marijuana if they so choose. However, under then-governor Rick Scott, the Department of Health appealed that ruling, forestalling flower from entering the market indefinitely. Removal of the vertical integration requirement will be a boon to the many investors eyeing the state’s potentially very lucrative market. Florida has a large and growing population of MMJ patients, with 212,000 having registered for the program in just two years, a number that the entire country of Canada reached only after four years. Patient registration continues to increase at a rate of 2,000 – 3,000 people per month and there is no apparent slowdown. This growth has likely been buoyed by Florida’s recent law limiting opioid prescriptions to a three-day supply, as patients and doctors are permitted to use medicinal marijuana as a substitute pain management prescription. With Governor DeSantis’ decision to allow flower products onto the market, supply issues should start to be ironed out and patient enrollment rates will likely further increase in the months following the change in state law. Last week, Florida's Agriculture Department Commissioner Nikki Fried announced her intention to create rules and regulations regarding edible products infused with medical marijuana and its derivatives. While on paper, Florida law currently permits medical marijuana edibles, acceptable forms, rules, and ingredients have not been announced and dispensaries cannot sell edibles until they are finalized. The Florida Department of Health, which runs the Office of Medical Marijuana Use and has been overseeing the medical marijuana market in the state, has allowed these regulations to fall by the wayside, leaving would-be producers and consumers in limbo. However, Fried, a former lobbyist for medical marijuana, believes the Department of Agriculture has authority in this case, as packaged food products typically fall under her department’s responsibilities. Her intention to create a Director of Cannabis position within her department could upset the Health Department’s power over the medical marijuana market – a system that has been criticized for being overly political in nature. Fried’s intentions to open the market up to a greater number of growers and producers, and get edible products into the hands of eager consumers, spell even better news for Florida’s potentially formidable medical market. The increased administrative friendliness toward cannabis in the state, as well as the product’s broad popularity among voters and consumers, make Florida a market to watch for potential recreational legalization later down the line as well.